My housemate and friend, Michael Hollingworth, has a tried-and-true way to help you when you’re feeing down. I asked Michael to share the practices of ‘gifting’ with you here. You might want to store these practises in your meditation ‘tool box’ to bring out as needed. Michael is a mindfulness meditation teacher, former yoga teacher and long time practitioner. He and I collaborate each January to put on an ‘Intensive’ week of mindfulness and yoga. 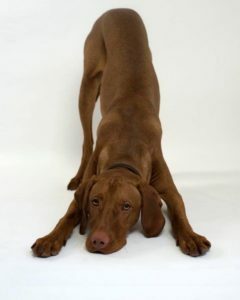 Do you have days on the mat when every Down Dog really feels like a downer? When you’d probably fall out of head stand if you even felt like doing one? When the others in the yoga class are just intrusions on your space, who defeat any attempt you might make at empathy, let alone generosity or compassion? Here’s a small formula for when your ebb is getting low: give yourself away. Well, if not yourself, give away a bit of whatever you’ve got. Set yourself the challenge of giving five gifts, or performing five new acts of kindness, on a single day. Aim for actions that really make a difference and come at some cost to you, such as donating blood, helping your neighbour, or finding a better way to help an ailing person manage their pain or difficulties. Gifts might also include money, time, energy, or goods or resources. Be creative and thoughtful. However, don’t make the tasks so hard that you pull back: it is better to make small gifts than not to give at all. Although some gifts or kind acts may need planning, make a point of carrying them all out on a single day. At the end of your day take stock. Notice the feelings that you experience… Consider making the Five Gift Day a recurring ritual, perhaps once a month or once a fortnight. Give one thing away, each day, for 29 days. Why? Because to see your world change, you have to DO something to change your world. Change the world by changing your own. Miraculous happenings are reported to occur in the course of the 29 days. As Andy Warhol is reported to have said: They always say time changes things, but actually you have to change them yourself. So if your dog is down, take your pick. Fill one day with giving away five gifts if you’re feeling down. Or take on the full catastrophe, as Zorba might have said: put in 29 days giving one gift every day.